The HOVIS Genie Humanoid Robot is an ultimate robot among Hovis brothers as it has been designed to provide true home service for your daily life. 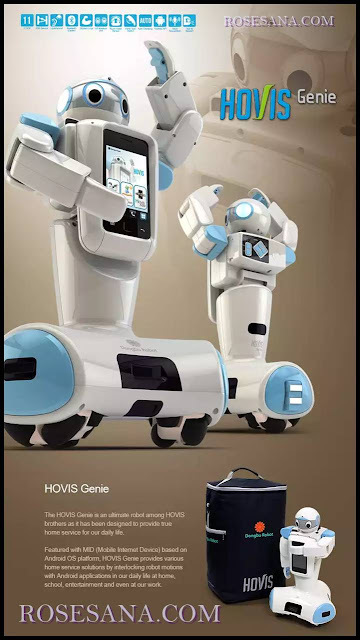 Featured with MID (Mobile Internet Device) based on Android OS platform, Hovis Genie provides various home services solutions by interlocking robot motions with Android applications in our daily life at home, school, entertainment and even at our work. Genie recognizes and responds to greetings and various commands such as charge, special action, move, app execution and termination, emotional speech etc. Genie has the ability to move on its own, stop when it encounters an obstacle, and interact with humans in various ways. Built in camera for taking photos and videos. Gallery to view photos and videos. Built in recorder for recording voice memos. Genie can wake you up with an alarm, provide you with an up to date weather and temperature information of the set location, and tell you your daily Google schedule and other customized information in an order set by the user. Install remote control app in your smartphone to monitor your home in realtime, take photos and control Genie from any location. Play contents made for children. Genie can help to teach young children basic life skills through educational contents and interactive games. 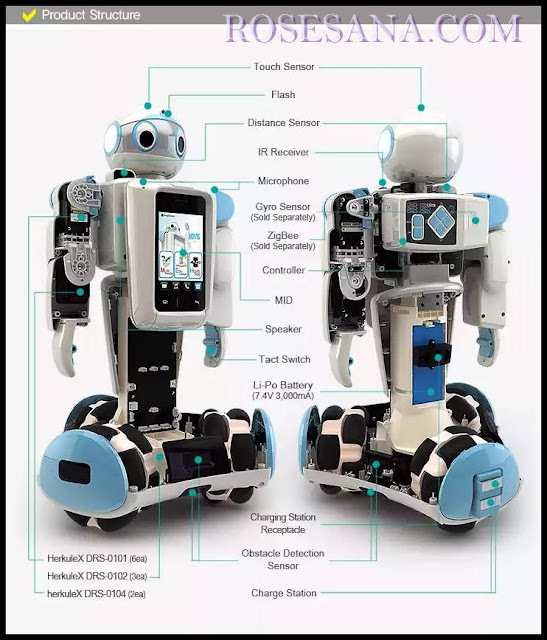 To satisfy various, different needs from educational/robotics research fields, manufacturer provides diversified multi-level programming tools, API, sample codes, software manuals and curriculum. Experience the world of robot programming through manufacturer multi-level programming solutions.